Borla Performance knows winning is not an accident. Over the years, BORLA mufflers have made more visits to Winner’s circles than any other muffler in the world. One of the secrets to that success has been the innovations by founder, Alex Borla. 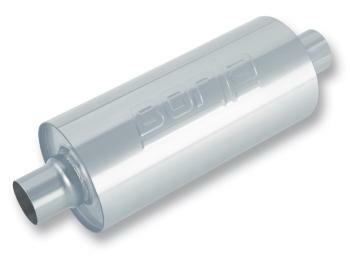 The Multicore XR-1 Raceline mufflers today found on some high-end BORLA street car systems seems only fitting. Today’s muscle cars are as bad as ever in history, so it only makes sense BORLA would release the XR-1 Multicore to the street.